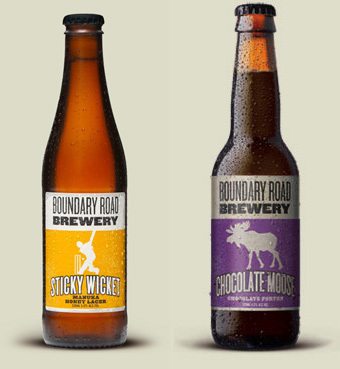 I tried Boundary Road Brewery’s Sticky Wicket manuka honey lager … it tastes like fizzy manuka honey. I tried Boundary Road Brewery’s Chocolate Moose chocolate porter … it tastes like fizzy chocolate syrup. These are not craft beers for the discerning adult palate, they’re alcoholic soft drinks for children. Notwithstanding that Boundary Road Brewery does make some half-decent beers—I already rated the Bouncing Czech pilsener, and the Mumbo Jumbo IPA is currently my preferred beer in its price range—I’m disappointed. I suppose that if beer-flavoured lemonade is your thing, you can’t go past the Lawn Ranger lemon and lime infused lager, but otherwise I wish BRB would stick to making actual beer. Previous PostJesus Christ PoseNext PostHistoric battles. The Libertarian struggle against Drug Prohibition. Why BZP should have been kept Legal. Boundary Rd Chocolate Porter is New Zealand’s number 1 Brew Saith I! Obviously if you are a Lager drinker you will not like the Porter ale. Yet if you like dark beers, you will have a better chance of enjoying the Chocolate Porter. As I said. In my VIP opinion the Chocolate Porter Is New Zealands best brew in the Supermarket… and that is saying something because they are multitudes of good dark beers on the market today…. saith I. And those of us ‘in the know’ appreciate the Genius of this Brewery because Porter Ale Lovers already knew that Porter Ale and chocolate compliment each other. Ie it is possible to eat a nice dark piece of chocolate and then swill down a guzzel of Porter ale without any nasty ‘conflict of interest’. You cant do that with Larger or draft beer because they are too bitter. Thus there is nothing ‘weird’ about making a chocolate Porter. And by the way Porter Ale is Real Man’s Beer! Thus ends todays Beer Lesson. Did you notice a sneeked in a Chocolate Porter Ale in the photo of my latest post on BZP? I can’t help but agree with Tim here Dad… That chocolate porter is a tasty brew. Almost like a desert beer, if such a creation is possible. B) the standard drink to dollar ratio is above 1:1. It’s almost as if BRB doesn’t want us to binge drink. Disgusting. Morally bankrupt company ruining our children’s good times if you ask me. I listened to half of your interview Mark, and will listen to the rest when I get a spare 1/2 hour. I hope the Police Chief doesn’t get sacked via political Machiavellianism. He’s a prime target! Tim: Indeed!! I’m trying to get a follow up interview with him. He’s getting attacked hard-core right now.